To date, FIFA is arguably the most popular sports franchise in the world. 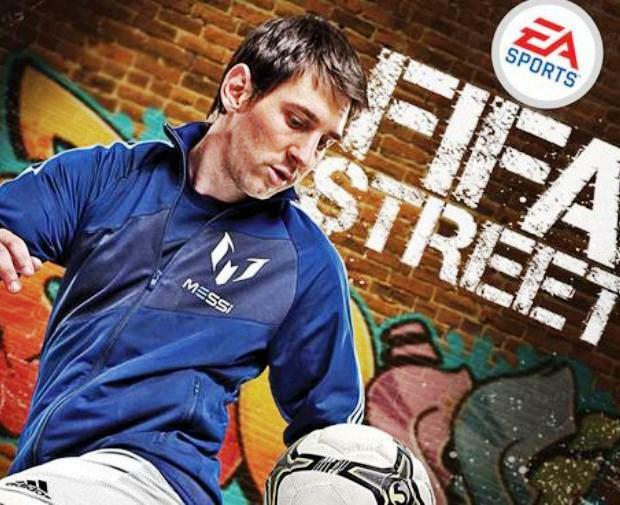 On March 13th EA Canada released their latest entry in the FIFA franchise, FIFA Street. 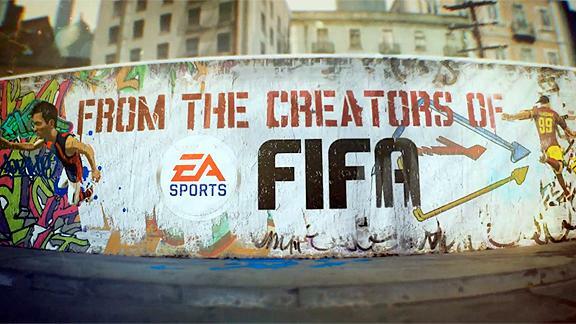 FIFA Street is a reboot of the series designed to be a companion franchise to FIFA proper. With the reboot and effort put in by the team at EA, fans were treated to a complete game that provides a true street soccer appeal. Sid Misra, Line Producer with EA (Electronic Arts) Canada, developers of FIFA Street took the time to answer a few questions on what the team was trying to accomplishment. 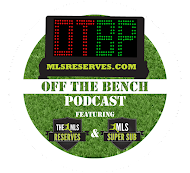 Misra goes in depth with how the team puts together their player ratings and discusses the team's relationship with Major League Soccer. He also drops a few hints for those who cant seem to beat those Messi level challenges. MLS Reserves: First of all congratulations on creating FIFA Street, which has been received well critically by the gaming community. MLS Reserves: The FIFA series sells extremely well worldwide, can you talk about the decision to reboot the FIFA Street franchise and how you see it fitting in with FIFA lineup? Sid Misra: "FIFA Street was always on the radar, but we didn’t want to bring it out until we could commit the right team and people to it, as well as ensure we could deliver a product that lived up to the quality expectations of the “FIFA” franchise. 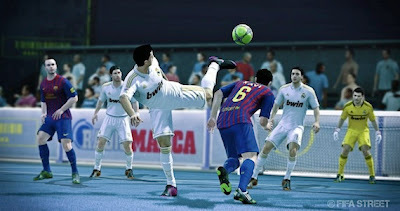 With the introduction of Player Impact Engine and Precision Dribbling to the award-winning FIFA gameplay engine in FIFA12, the foundation for building a great street football experience was in place." "Before even starting on the project, we did a lot of research about what our fans were looking for in an alternative football product – the answer we got was that there was still a strong appetite for a street football game that was authentic and embraced the level of quality expected of our FIFA series." "The next step was then to better understand what “authentic street football” really meant. For this we did research in London, Amsterdam & Rio to understand what street football meant in those regions, and discovered they meant very different things. So right away we knew that if we wanted to be an authentic street football game, the first thing would be to ensure the game allowed for varying styles of play." "Authenticity & Quality. They are the pillars of any EA Sports FIFA title, and very much true of this FIFA Street reboot." MLS Reserves: Traditionally, FIFA Street had a caricature look to it and was known for over-the-top, impossible tricks and flips. What made the team at EA Canada decide to bring a more realistic look and feel? Sid Misra: "Realism/believability was important for us to achieve our central focus for this game: authentic street football. Pairing our gameplay with cartoonish visuals would have felt disconnected, and would have gone against a lot of the feedback we have heard from fans of the series and those waiting for a new FIFA Street." MLS Reserves: What challenges did the team face during the reboot and do you feel you were successful in creating a product you can be proud of? 5. 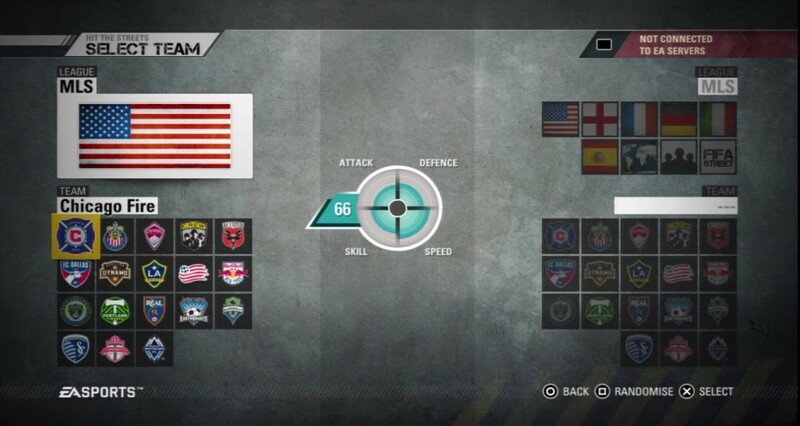 A new take on FIFA online gameplay that focuses on your club above real clubs. Again, kudos goes to our team for really embracing our challenges and delivering a street football game that exceeded fan expectations." MLS Reserves: FIFA 12 and FIFA Street run on the same engine is that correct? What changes or tweaks were necessary to change the game to match play styles? Sid Misra: "That’s right, this is the first FIFA Street built off a FIFA Gameplay engine. That said, we have had to make significant changes to that engine to make FIFA Street an authentic street football game." "As soon as you step on the pitch you will notice the differences. Both offense & defense player movement and dribble have been changed to better support head-to-head street football gameplay. We have implemented a new core dribble mechanic we are calling Street Ball Control – it’s a new and innovative control scheme, and the first true control innovation in this console cycle. The game supports more skills than ever before with very accessible air moves and tricks. Attack, defense, goalkeeping, positioning, shooting, passing, etc – all areas of gameplay have been addressed to create a great street football game." MLS Reserves: Including club teams was a big change for the Street series. What influenced this decision? Sid Misra: "The fans. All the feedback we had seen in the forums indicated that they wanted to see proper clubs in the game, so we worked with our licensing team to make that happen." MLS Reserves: Major League Soccer has evolved quite a bit in recent years. How have you as a development team tracked the league and what goes into the process of rating them? Sid Misra: "We have an enormous data collection team that scouts and rates every player across the leagues around the world. Luckily, we on the actual development team don’t have to try and keep up with everything that happens across the leagues while trying to build the game – that’s too big of an ask! They are an extremely dedicated group who take a lot of pride in ensuring the traits of the players match fan expectations. It’s this data that helps distinguish individual player movements and skills in the various football games we make." "We collect objective data such as date of birth, nationality, height, weight etc. as well as the physical appearance of the players, his face and his body. The most challenging data to collect are the attributes and traits. This is subjective data, and it is difficult to compare a player who is known to be a great tackler in England Premiership and a player who is known to be a great tackler in the Korean K-League. So we give guidelines to our editors of how to rate players according to their league level in order to get to a consistent and balanced database. This data has a significant impact in the game so it has to be as accurate as possible." 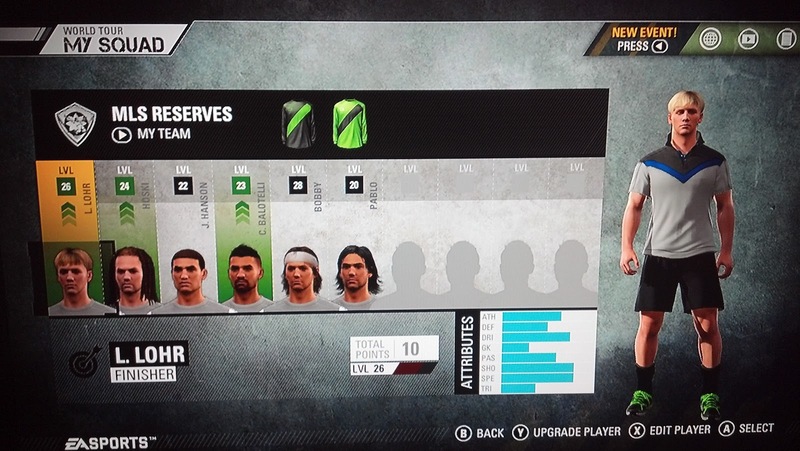 MLS Reserves: Can you talk a bit about how you determine player and team ratings, particularly in FIFA Street? Sid Misra: "Again, done by our data collection team – they determine player ratings and we determine a team rating based on the skill of the players. This is more dynamic, so if player ratings change (either by database update or because a gamer swaps players) the team rating can adjust accordingly. The same scouts that collect individual player data also collect team formations and squads, the tactics used by the teams, league info and much, much more. If any of your readers are interested in becoming scouts the first step would be to go to this website formore information." MLS Reserves: What type of relationship do you have with Major League Soccer, the English Premier League and other top leagues around the world? How do those relationships influence the game(s)? Sid Misra: "We are fortunate that the leagues agreed to allow their clubs to be a part of FIFA Street. We also understand that there are league and club interests they need to protect, which can sometimes limit what we can do. 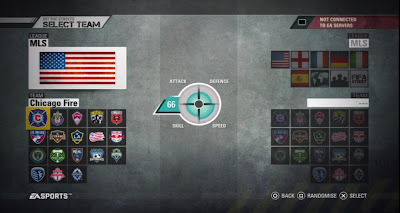 I will say that the MLS seemed to be a very good partner with FIFA Street – an example of this is in the authentic adidas training wear the MLS teams will use in street matches. The MLS is the only league that features fully authentic training gear, and it looks pretty cool." MLS Reserves: Why should gamers embrace FIFA Street when they are already playing and enjoying FIFA 12? Sid Misra: "Our anti-vision when making this game was “FIFA with walls” – we wanted to deliver a brand new way to play football, but keeping in mind that a lot of our FIFA gamers would be interested in playing and can’t be put off by a whole new control scheme... a challenging goal! So, the basic controls of football – locomotion, pass, shoot – are still the same as FIFA, but we’ve built Street Ball Control and cool skill move mechanics to differentiate and bring you into the 1v1 battles that street football is all about. Both FIFA gamers and new gamers seem to really enjoy the new game dynamics." 2. People who want to become part of the FIFA gaming family, but may be late to the game and are intimidated by controls or other more experienced gamers. The common thread is both groups are people who also love the idea of playing skillful, stylish football – ready to embarrass their opponents, while scoring." MLS Reserves: Can you share with the readers any fun anecdotes that came with making FIFA Street? Sid Misra: "Gary Paterson, our Creative Director, likes to tell the story of how the street footballers we brought in for motion capture (Sean & Soufiane) introduced themselves to him. They had a ball and pretended to panna Gary upon first introduction. As Gary turned around sheepishly to retrieve the ball that he let through his legs – he soon realized that he should feel even more sheepish as the ball was actually up the shirt of Soufiane! At least we knew then we had the right guys to do our mo-cap." What we lack in grace we make up for in style: MLS Reserves. MLS Reserves: Lastly, I any suggestions for stepping my game up? Those gold level matches are not easy. Sid Misra: "Don’t dive into the tackles – back off and let the players come to you. Strong defending will lead to swift counter attacks!" MLS Reserves: Thank you again for your time. The game has been well received critically and commercially. IGN, a reputable gaming site, gave the game an 8 out of 10 and my own review concurred. I If you haven't picked up the game yet, it is available for both Playstation 3 and Xbox 360.